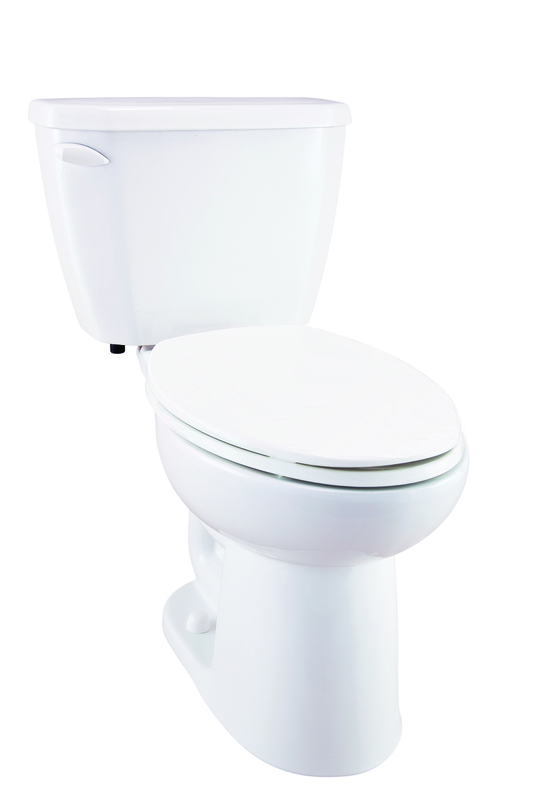 Set it and forget it with the reliable Viper® 1.6 gpf (6 Lpf) Toilet. 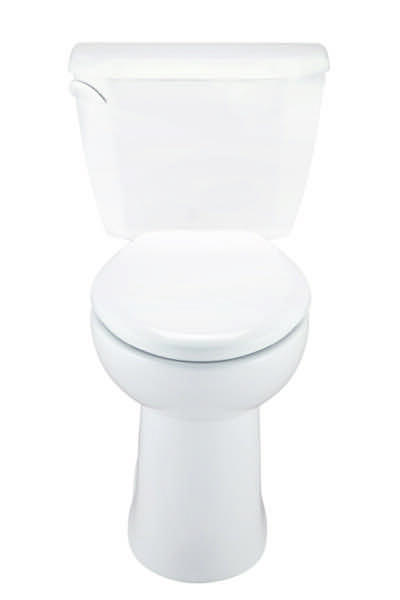 The tall, narrow designed Viper® tank optimizes flush speed, and quickly refills using a trusted, industry best, Fluidmaster® 400A Fill Valve. 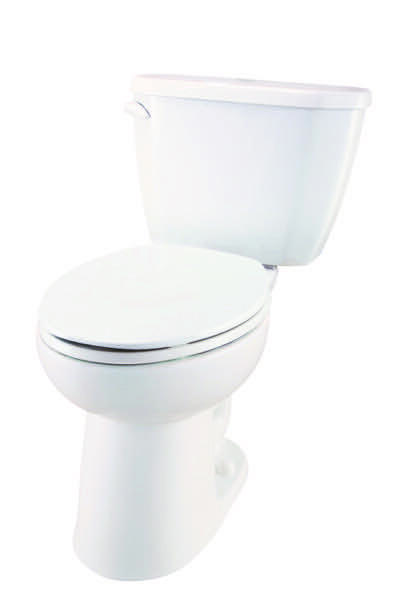 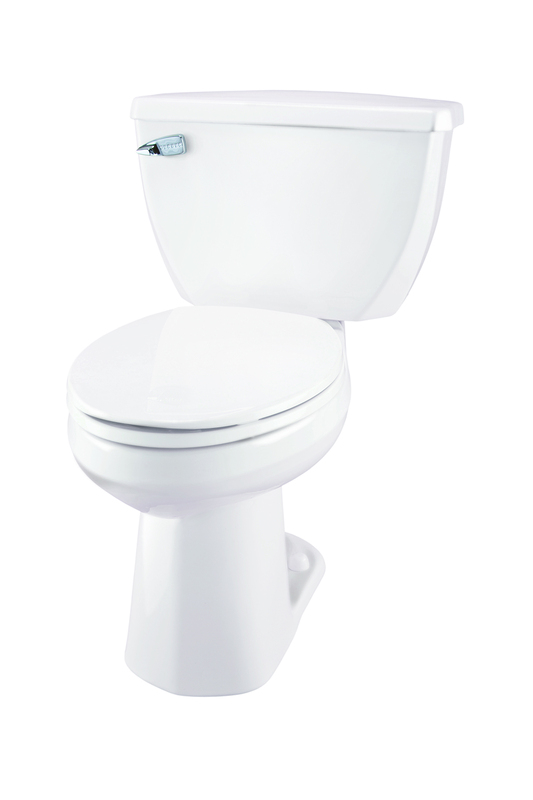 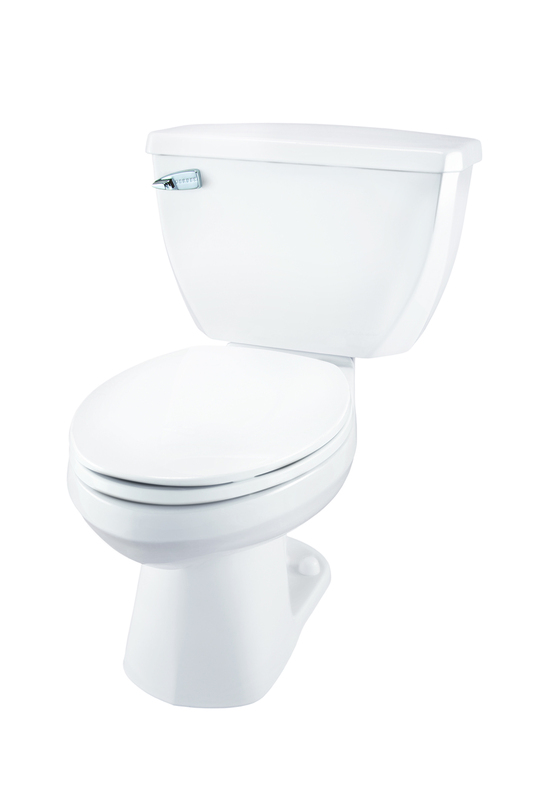 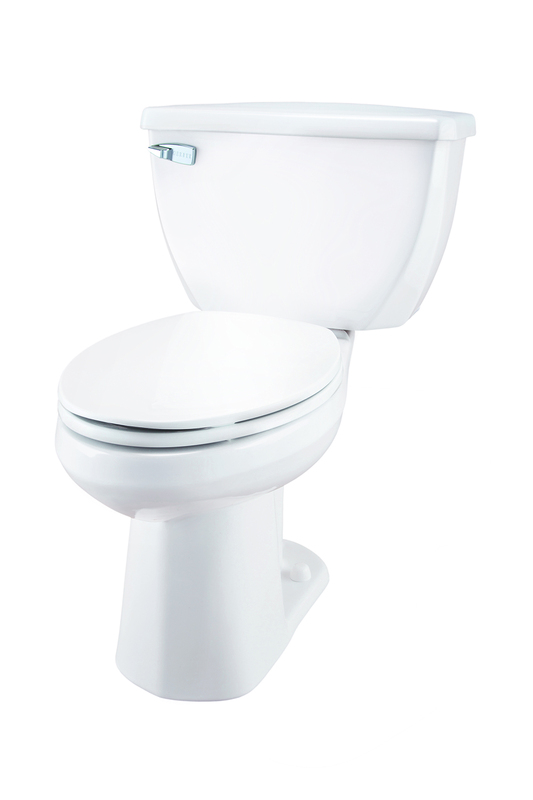 Powerful front rim jets maintain a clean and sanitary bowl with every flush. An exclusive multi-point mounting system and non-corrosive brass tank-to-bowl bolts ensure long lasting stability and ease of installation, making Viper® the professional's choice. 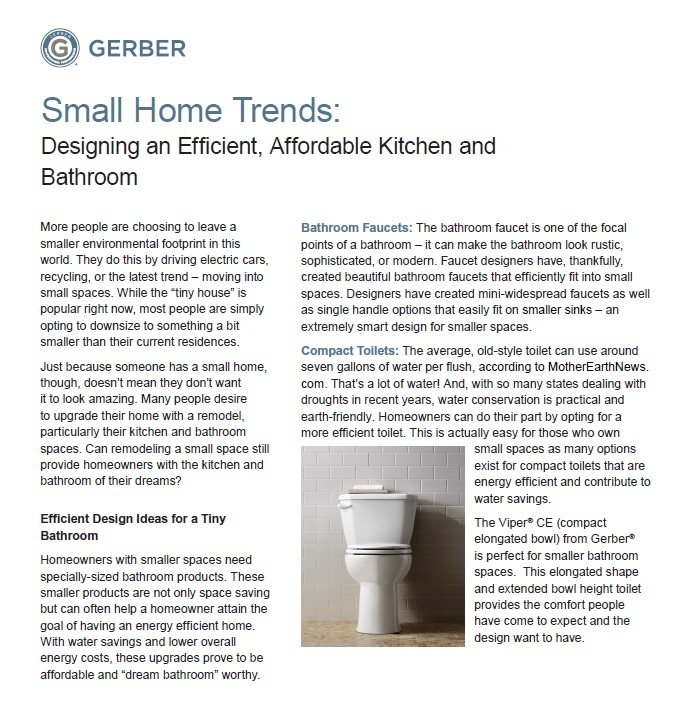 Water Surface from Rim - 5"
Water Surface - 9 7/8" x 7 1/4"
Water Seal - 2 1/8"
INSIGHT ARTICLE: Small Home Trends At a glance: With more homeowners opting for a smaller home, smaller bathrooms are on the rise. 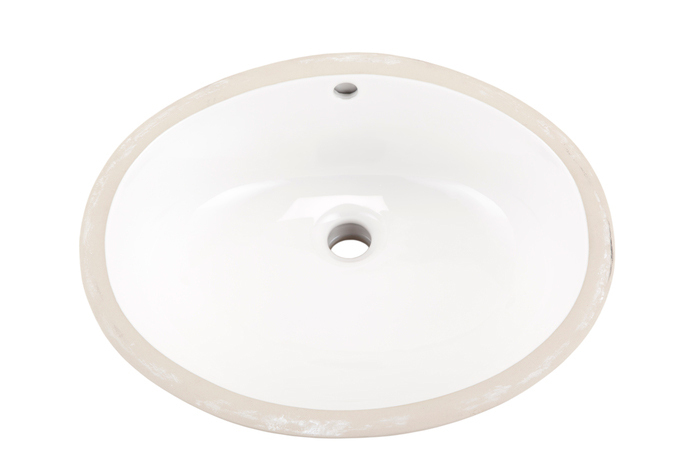 Read about upgrades and tips that prove to be affordable and "dream bathroom" worthy.